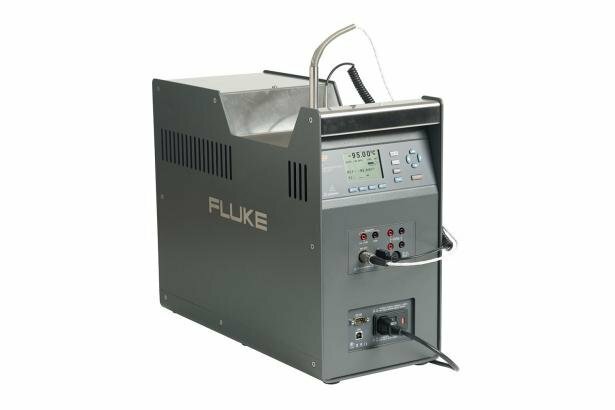 The Fluke 9190A Ultra-Cool Field Metrology Well is the most accurate and stable, cold temperature dry-block on the market. It’s ideal for applications that demand strict quality control and regulatory process compliance. These applications include on-location validation and calibration of RTDs, thermocouples, thermometers, and sensors used with process control equipment such as medical freezers, laboratory refrigerators, cold rooms, blood banks, sterilizers (autoclaves), and freeze dryers. Calibration baths are the most stable and uniform temperature sources available, but they aren’t a good fit for clean rooms. The size of a bath limits its portability, and bath fluids can easily spill and give off vapors. The 9190A Ultra-Cool Field Metrology Well is a great alternative. 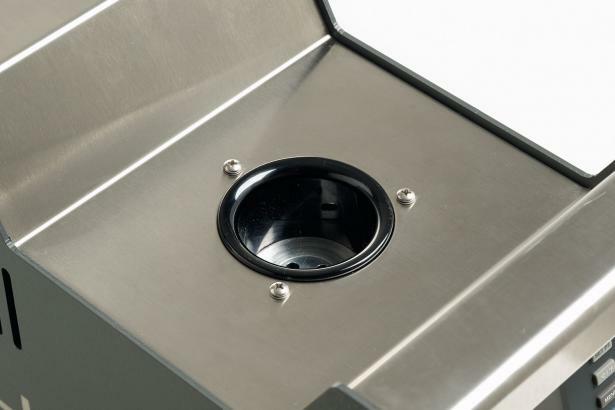 Its wide temperature range brackets the coldest and highest temperature ranges required for pharmaceutical, biomedical and food processing applications. 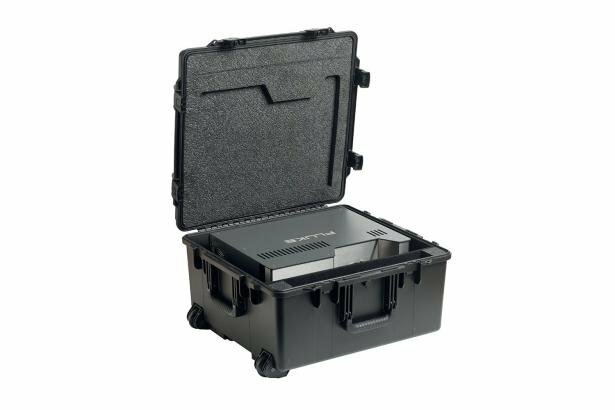 The 9190A is small and lightweight, making it easy to transport. And since it does not use heat transfer fluids, clean rooms stay clean. 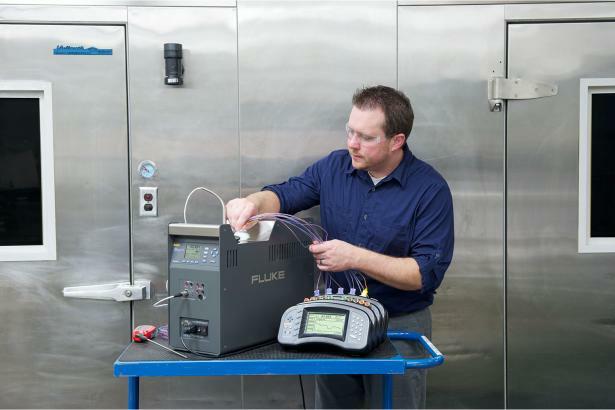 The 9190A cooling and heating times are faster than a calibration bath—that means calibration work gets done more quickly. Unreliable process measurements can have a damaging impact on business, leading to poor product quality, recalls, fines, waste, and lost profits. Ultimately, measurements are only as good as the temperature sources used to calibrate the measurement equipment. The 9190A Ultra-Cool Field Metrology Well incorporates the best technology and design expertise gained from decades of dry-block development experience. The 9190A conforms with EURAMET cg-13 guidelines for best measurement practices for temperature block calibrators. As a result, you can be assured that the 9190A specifications for accuracy, stability, axial (vertical) uniformity, radial (well-to-well) uniformity, loading, and hysteresis have been thoroughly and carefully defined and tested. With a 9190A Ultra-Cool Field Metrology Well, you can be confident you’re using the most accurate and stable ultra-cool dry-block calibrator available. And that will have a positive impact on your business. For ambient temperature of 23 °C. Time from when the SETPOINT is reached to when the unit is with in stability specification. The temperature range may be limited by the reference probe connected to the readout. The built-in reference accuracy does not include the sensor probe accuracy. It does not include the probe uncertainty or probe characterization errors. Measurement accuracy specifications apply within the operating range and assume 4 wires for PRTs. With 3-wire RTDs add 0.05 Ωto the measurement accuracy plus the maximum possible difference between the resistances of the lead wires. The thermocouple input readout is sensitive to EM fields in the frequency range of 500 MHz to 700 MHz.